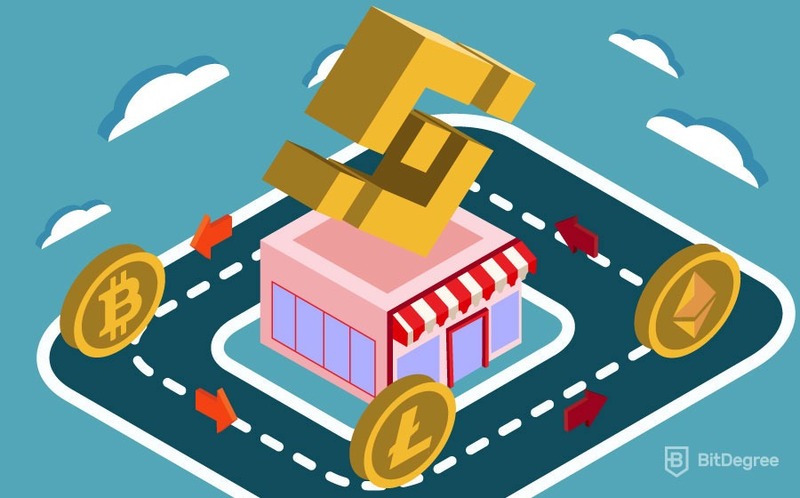 As cryptocurrency grows in popularity, more and more exchanges are being created for buying, trading and selling different cryptocurrencies. This makes it more and more difficult to decide which exchange you’re going to use. Some are aimed at beginners, while others are better for more advanced traders. So, it’s important to know which exchange is right for you! This Binance review will give you a complete overview of the Binance exchange. Once you have read this, you will have a good understanding of whether it is the right exchange for you. First, we will give you some background information on Binance, and how it has become one of the most popular exchanges to trade cryptocurrencies. We will then explain some of the advantages of using Binance, as well as some disadvantages, too. There will also be a step-by-step guide on how to deposit, trade and withdraw coins, along with some helpful images. So that by the end of our Binance review, you will have all the information you need to start trading on the exchange by yourself. Well, what are you waiting for? Let’s go and discover more about Binance! 1 Binance Review: What is Binance? 2 Binance Review: Why Binance? 4 Binance Review: Who should use Binance? Binance Review: What is Binance? Binance is an exchange that host crypto-to-crypto trades. This means that they do not accept real-world money, such as U.S Dollars (USD) or Euros (EUR). The exchange was first created in 2017 and was originally located in China. However, as cryptocurrency laws are very strict in China, the exchange has since moved to Japan, a country that loves digital currency! The man who created Binance is called Changpeng Zao, however, he is well known as CZ. Interestingly, CZ used to build some of the trading systems that are used in the Tokyo stock exchange. I guess he used this experience to help make Binance what it is today! Before Binance opened their exchange, they raised money through an initial coin offering (ICO). This is very similar to crowdfunding, where people can invest to help a company get started. 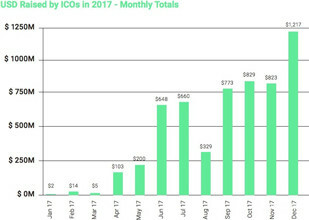 In 2017, people invested more than $5 billion in ICOs! Binance have had a very successful start since they were created in 2017. They are now averaging more than $1 billion in daily trades, making them the largest exchange for alt-coin trading. In fact, Binance grew so quickly, that in January 2018 they had to suspend new registrations. This was because too many people were trying to open a Binance account. Quick fact: In one day alone, Binance received over 240,000 new account applications! By reading our Binance review so far, you should now have a good understanding about the exchange’s background. Now let’s find out why you should use Binance! Before registering a new account at an exchange for the first time, it is important to consider their advantages and disadvantages. This will ensure that you’re choosing the right exchange for you. There are now more than 1889 individual cryptocurrencies, with new ones being created almost every day! Another excellent feature of the exchange is that when trading crypto-to-crypto, Binance fees are one of the lowest in the industry. Customers are charged 0.1% on every trade, meaning if you traded 1 ETH, you would only be charged 0.001 ETH! Quick tip: If you are trading with Binance Coin (BNB) you get a 50% trading discount! Regular traders on Binance exchange have the chance to win prizes. These prizes change all the time and have so far included free cryptocurrencies, such as Waves (WAVES) and Ontology (ONT). They have even a gave away a Maserati car! How cool is that! Binance is well known for listing new cryptocurrencies as soon as their ICO has finished. This shows that many crypto companies view Binance as their favorite exchange. Binance doesn’t just list any old cryptocurrency though, it has to really prove itself as a solid cryptocurrency for Binance to list it. 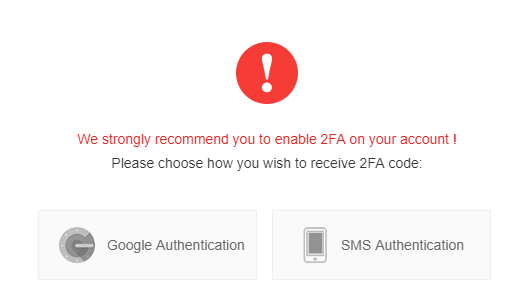 Binance takes security very seriously, and customers are asked to set up two-factor authentication (2FA) when they register an account. 2FA is an extra level of security that sends a special code to your mobile phone every time you want to log in, trade or withdraw funds. If you are still wondering “Is Binance safe?”, the website also uses the CryptoCurrency Security Standard (CCSS) to protect accounts, which is an industry standard for major exchanges. As Binance have become one of the most popular exchanges to buy, trade and sell cryptocurrencies, there are lots of trades happening all the time. This is an important factor as it means you have a better chance of selling your cryptocurrency immediately, if and when you need to. For example, if you wanted to buy a cryptocurrency, but it has a low trading volume, then it’s harder to buy, because there aren’t that many sellers. However, if lots of people of looking to sell that coin, it will be easy to buy. Fun Fact 5: The technology supporting Binance can process up to 1.4 million transactions per second! Now that our Binance review has discussed some of their advantages, let’s take a look at some of the exchange’s bad points! There are mixed reviews on the customer support offered by Binance exchange. Although you can contact Binance by email or live chat, some users have reported long delays. This might be because the exchange has a large number of customers, however, we hope that Binance will improve their response times. There is also no phone support, which is something offered by other popular exchanges like Coinbase. If you have read this Binance review all the way through, you should now have a better understanding of what Binance is, what they do, and the advantages and disadvantages of using their exchange. We are now going to show you how to use Binance! First, I’ll explain how you can open a new account! You will need to enter your email address and choose a strong password. Don’t forget it! Finally, you need to confirm your email address. You now have a Binance account! When you log in for the first time, a notification will ask you if you want to set up two-factor authentication. Remember how we explained earlier that this protects your account? So, enter your mobile number and complete the set up. Our Binance review explained earlier that the exchange does not allow customers to deposit using popular payment methods, such as a debit or credit card. This means that you will need to deposit with a cryptocurrency. The easiest way to do this is with Bitcoin (BTC) or Ethereum (ETH), as there are other exchanges that allow you to buy them easily with fiat money. If at this stage you do not have Bitcoin (BTC), or you do not know how to get it, see our Full Guide on How to Buy Cryptocurrency. You can then return to the next part of the Binance review! Move your mouse over Funds and then click on Deposits. Click on the Select Deposits Coin and type in If you want to deposit using a different cryptocurrency, simply enter its code. For example, if you wanted to deposit with Ethereum, you would enter ETH. You will now be shown your unique deposit address. Important: Each cryptocurrency has a different deposit address! For example, if you try to send Ethereum (ETH) to your Bitcoin (BTC) address, you could risk losing your Ethereum! You now need to copy the deposit address. The easiest way to do this is to click on Copy Address. Now you need to go to your cryptocurrency wallet and transfer the number of Bitcoins you want to send to your Binance account. It is very important that you send the coins to the correct Binance deposit address. Make sure you double check the address after copy and pasting it. Once you send the coins, your Binance account should receive them within 10 minutes. To check that they have arrived, move you mouse over Funds and click on Balances. Once your deposit has been confirmed by Binance, your Total and Available balances will be updated. Congratulations, you have now funded your Binance exchange account! I will now show you how to make your first trade! Now that I have shown you how to add crypto to your Binance account, I will now show you how to make your first trade. There are over 100 different cryptocurrencies to choose from, but in this example, I will show you how to buy Litecoin (LTC). Don’t worry, if you want to buy a different coin, the steps are the same, just replace Litecoin with the cryptocurrency you want to buy! Move your mouse over Exchange and then click on Basic. On the right of the page, look for the Favorites Here you will need to select the cryptocurrency that you deposited in to your Binance account. In our example, we have selected Bitcoin (BTC). If you deposited Ether, then click ETH. Now you need to enter the currency code for the cryptocurrency you want to buy. As I am demonstrating how to buy Litecoin (LTC), I will enter LTC. Once you click on the currency pairing (LTC/BTC for our example), you will be taken to the trading screen. Those scary graphs will now display the market information of your chosen pairing. 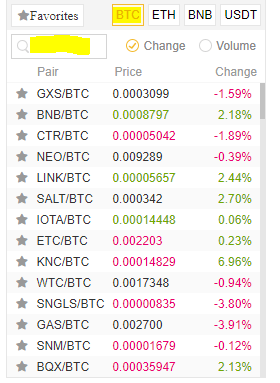 Scroll down and look for the Green Buy Make sure you click on Market. Why Market and not Limit? Selecting Market will allow you to buy your cryptocurreny for the current market price. This will offer you the best price that’s currently available.If you select Limit, this will allow you to enter the exact price you would like to buy at. This is the best option for more experienced, short-term investors. Option 1: Enter the specific amount of coins you want to buy. In our example, we want to buy 10 Litecoin (LTC), so we have entered that in to the below box. Option 2: You can choose a percentage of your Binance balance. For example, if you deposited 0.05 Bitcoin (BTC) in to your account, and you want to exchange all of this in to Litecoin (LTC), you can just select 100%. Finally, to complete your trade, click on the green BUY LTC As you selected Market, your order should complete within a few seconds! 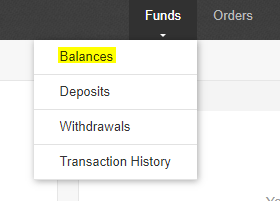 If you want to make sure that your trade was successful, you can go back to the Funds > Balances section. Congratulations, you just did your first crypto-for-crypto exchange! At this stage of our Binance review, you will now know how deposit funds into Binance and buy your first coin! But, what if you want to withdraw your funds? Well, let’s show you how to do that too! At the top of the page, move your mouse over Funds and click on Withdrawals. Click on “Select Withdrawal Coin” and enter the cryptocurrency you would like to withdraw. Remember, you need to enter the currency code, like BTC or ETH. Now, enter the wallet address that you want to send your coins to. IMPORTANT: Make sure you enter the correct address, as any mistakes could be costly! 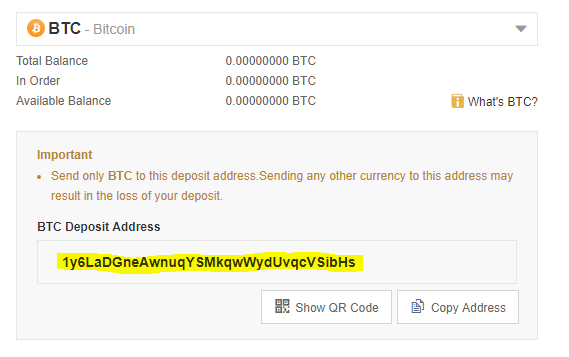 The best way to do this is to copy and paste the address you want to withdraw to. Binance withdrawals are normally quick and usually take no longer than 30 minutes to reach your destination wallet. However, if the network is busy, it could take longer. Binance Review: Who should use Binance? You might have noticed from the buying part of our Binance review that there are two options to choose from – Basic and Advanced. This is what makes Binance such a popular exchange — it is great for both beginners and advanced users. In the trading guide above, we showed you how to use the basic functions. However, once you become a trading pro, there are some extra features available in the advanced section! If you are a more experienced trader, the advanced options allows you to view more detailed statistics. For example, if you were interested in the price movements between Bitcoin and Ethereum, there are more advanced graphs you can view. Candlestick bars allow you to view the opening, highest, lowest and closing price of a cryptocurrency over a specific time period. Just remember, if you are just getting started with cryptocurrency trading, it is probably best that you use the basic option until you feel more comfortable! If you have read our Binance review from start to finish, you should now be able to decide if it is the right exchange for you. There are many advantages to using Binance, however, there are also some disadvantages to consider — such as not being able to deposit with a debit or credit card. Whether you decide to use Binance or not, at least now you know how to use Binance, and you should easily be able to deposit, trade and withdraw funds! In my opinion, Binance is one of the best cryptocurrency exchanges out there for trading between different cryptocurrencies. It offers a great, easy-to-use interface that caters for all types of traders. Not only that, but it’s a platform you can trust. So, what do you think about the layout of the exchange? Does Binance have the cryptocurrency that you want to buy? Let us know if you enjoyed our Binance exchange review! 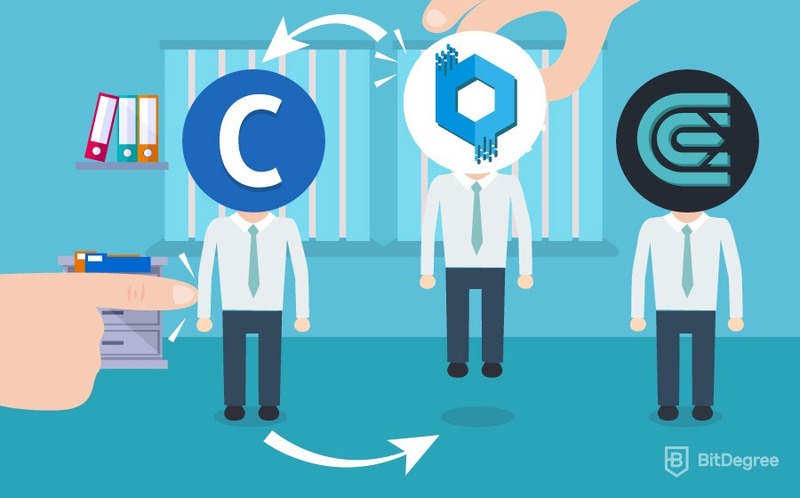 CEX.io Review: is CEX.io Safe?